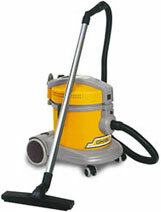 AS 6 is a handy, powerful, versatile and silent vacuum cleaner that perfectly suits to clean hotels, restaurants, laboratories, shops, houses, hospitals and those places requiring minimum noise and great performances. 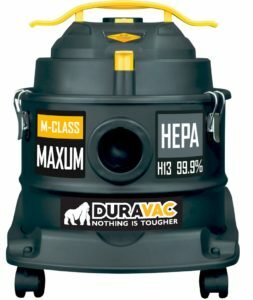 It is equipped with big-sized container and filters. Telescopic tube and detachable cable. Exhaust air filter. Clogged filter warning light. Storage spaces for accessories. Power brush connection. Optimal manoeuvrability, no friction thanks to the 360° pivoting front castors and to large diameter rear wheels. Equipped with anti-shock bumper. 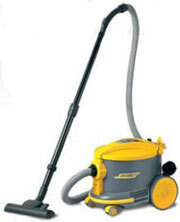 Vacuum cleaner supplied with a powerful and highly efficient new generation motor. Power brush connection. 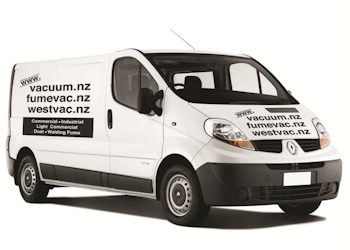 It is equipped with storage spaces for accessories and an exhaust air filter device. Paper filter bag and cartridge filter (normal or Hepa) are optional. 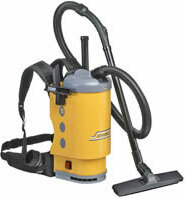 Compact, light, handy and powerful backpack vacuum cleaner. 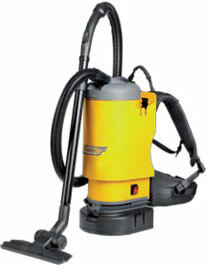 Compact, light, manageable and powerful backpack vacuum cleaner. You wear it as a backpack. Your hands are free, it doesn’t hamper movements and allows to work faster and more effectively and the job results lighter. 6-stage filtration system (cartridge filter + 3D fleece filter bag + exhaust air and motors protection filters). Accessory holders. Motor thermal protection. Up to 55 min working time with one battery, very fast charging time of only 1 hour. Big choice of the models depending on the batteries and chargers.